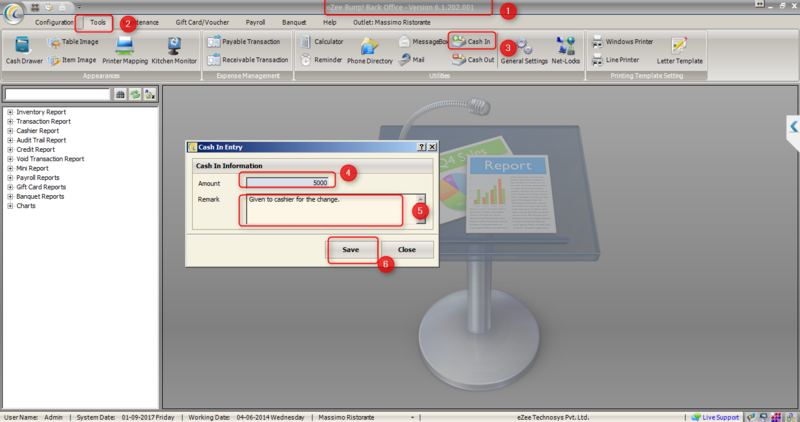 Q: How to enter the amount of cash received by the cashier? 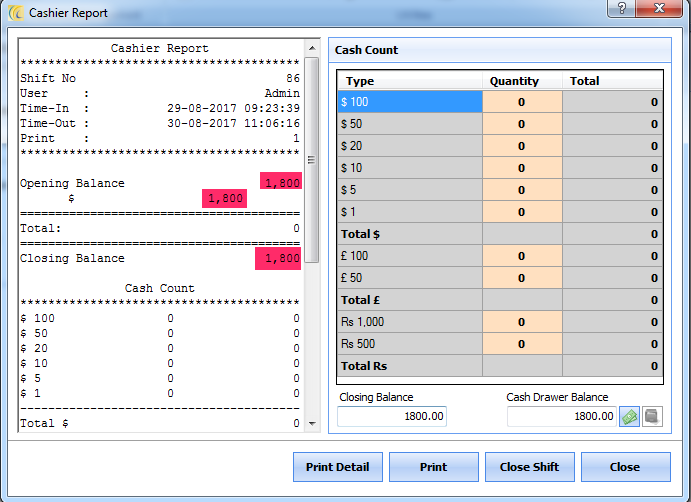 Q: How to enter the cash given by the cashier for a different purpose during the shift? 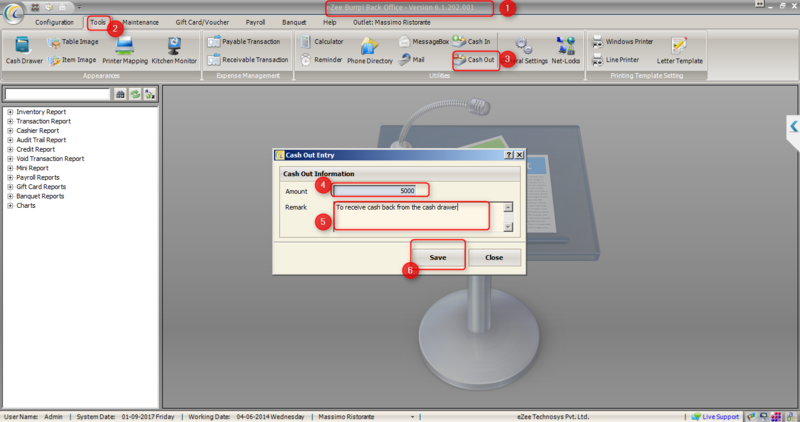 CASH-IN >>This option is used to enter the amount of cash received by the cashier. 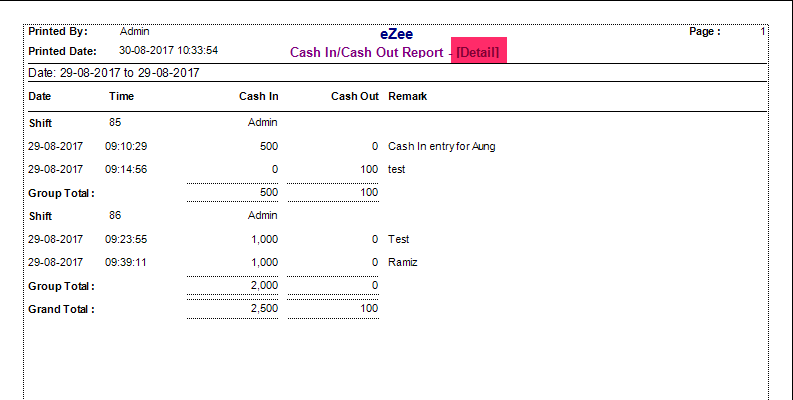 CASH-OUT >> This option is used to enter the cash given by the cashier for a different purpose during the shift. 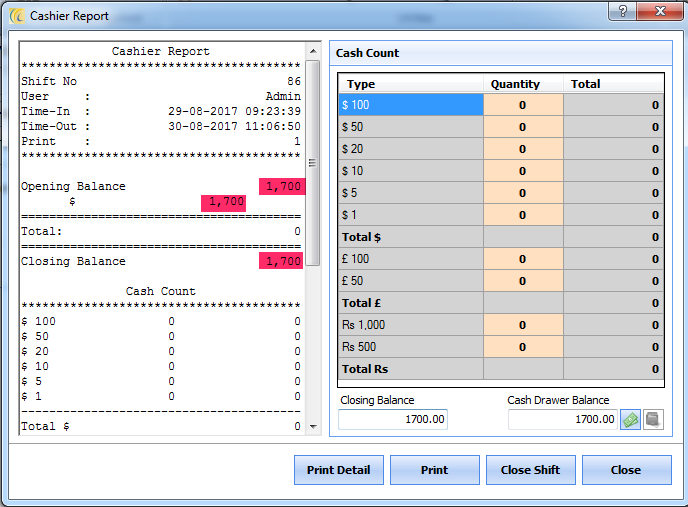 It will be reflected on the Cash-In/ Cash-Out Report as well as on the cashier report, It will get added or deducted from the total balance. Refer the below screenshots for the same.